The first thing to know is that rice will be ready around 15-20 minutes after adding the first spoonfuls of broth. 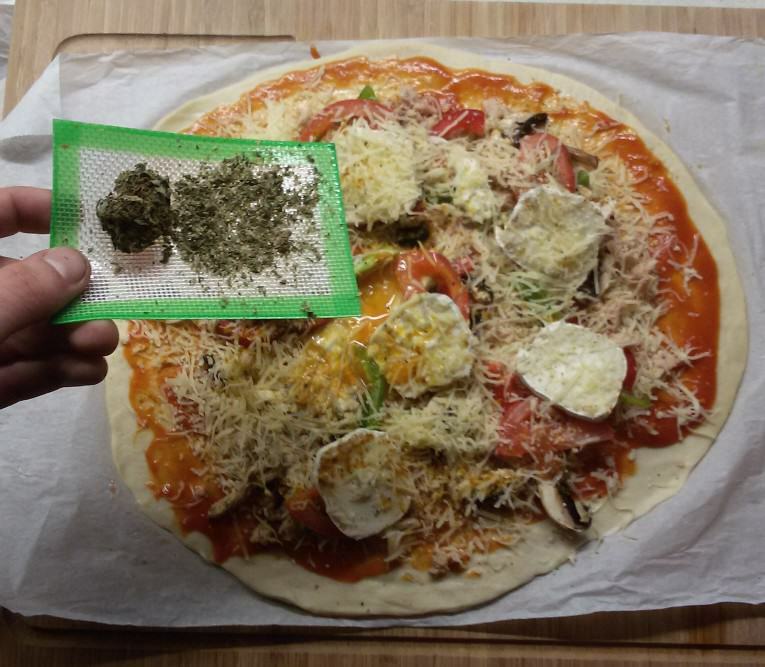 Thus, it is best to have all ingredients ready before start cooking, such as some clean and chopped veggies, the cannabis butter, some olive or hemp seed oil, spices, etc. In the case of risotto with vegetables, the most renowned ones include zucchini, peas, mushrooms and leeks. First of all, we’ll fry some veggies with the cannabis butter. Then, we’ll add the rice and fry it, along with any meat. In the case of using fish, it is normally added 10 minutes after starting to add the broth. If you use seafood, then add it after around 12 minutes, so it is only cooked for 3-5 minutes. 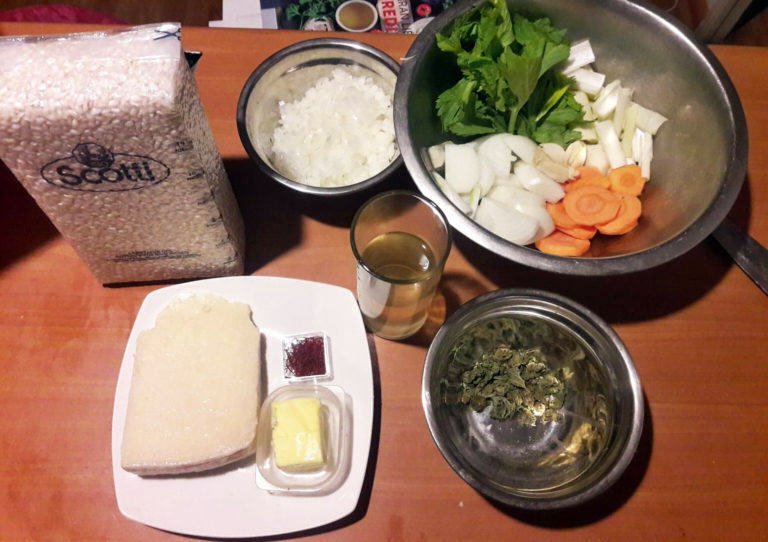 The most important thing when preparing a risotto is – apart from the quality of the ingredients and your cooking skills – the broth. You must try to match the correct flavours, like using bones, vegetables and meat. On the other hand, if you want to use fish with your risotto, then prepare your broth with some seashell, fish heads and fish bones. 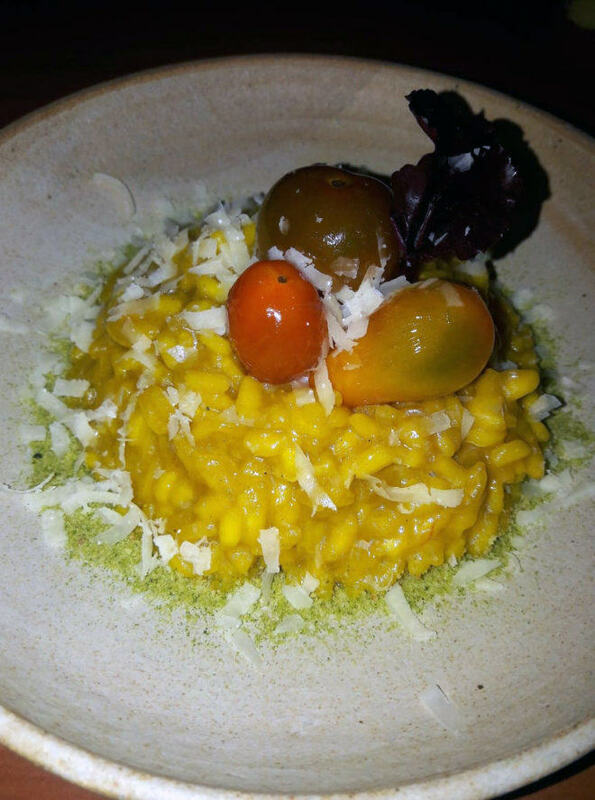 Saffron risotto is just one of the many variations of this delicious dish, which hides a curious story: legend has it that the young disciple of master Valerio of Flanders fell in love with his master’s daughter. He wanted to create a new dish to surprise everyone at their wedding, creating a simpe but trully flavourful dish…so he used saffron. 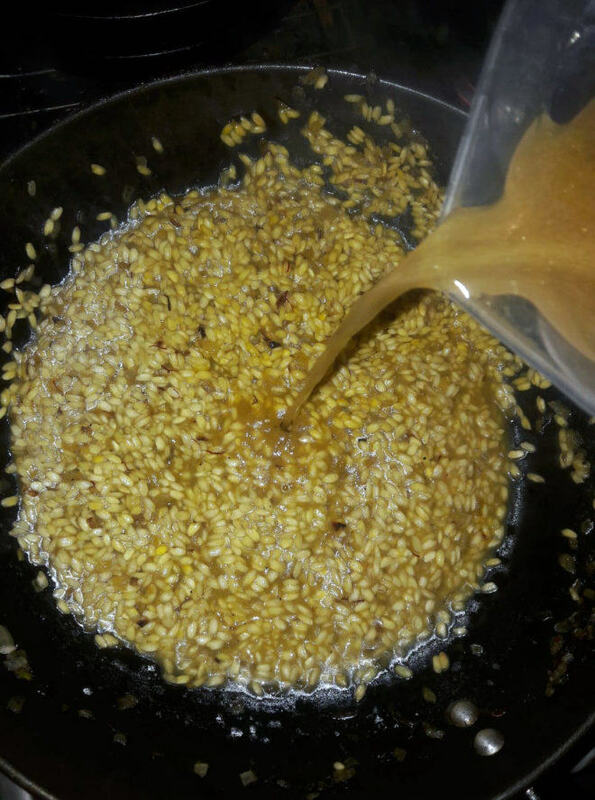 Since then, this ingredient is know as an excellent condiment for rice-based culinary recipes. 50ml white wine, we recommend you Cannawine! Once ready, add the remaining cannabis butter and some grated Grana Padano. Cover the frying pan with a clean kitchen towel and wait for 5 minutes. Some people like to add some olive oil before serving. You can enjoy an ice cold Cannabeer while you prepare this delicious dish, and serve it with some tomatoes, meats, fishes…your imagination is the limit! Please keep in mind that the effects of ingested cannabis last much longer and also take longer to appear than when you smoke or vape cannabis, so it’s recommended to eat a small amount and wait for about an hour to check how you feel. Finally, also remember to keep cannabis edibles out the reach of children, pets or persons who might think they’re “normal” sweets or foods. Proper labelling or using a cannabis leaf as decoration can avoid bad experiences!